The word parasite literally means “one who eats from the table of another” and is an old Greek word that was applied to sycophants or ‘professional guests’ who befriended the rich and ate at the top table. 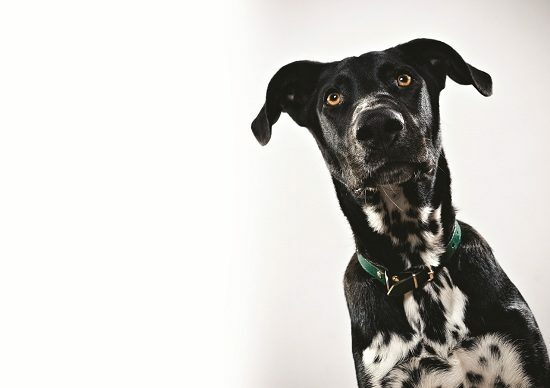 With that in mind, it is imperative that modern dog owners such as ourselves are armed with the knowledge to spot the presence of parasites before they outstay their welcome as our dog’s uninvited visitor, says Simon Foden. Fleas, worms, mites and ticks are all words that strike an unpleasant chord with dog owners. As much as we would like to pretend that these things only exist on television and in tropical countries, it is an unfortunate fact that the domestic dog encounters many parasites throughout his life, and is likely to suffer the effects of one or more type at least once in his life. As with most canine health issues, education and understanding is key to making sure parasites don’t get the better of your dog and so this month we will be taking an in-depth look at the flea. Did you know that it's estimated that at any time only five percent of the flea population has found a host, the rest are still looking? Scary thought. Life Cycle: Anything from two weeks to eight months, depending on conditions. Symptoms: Scratching, biting, bleeding and fur loss. Main Types of Treatment: Flea treatment/repellent, shampoos, flea collar, room fogger spray (for the household). Fleas are possibly the most common canine hosted parasite and are also relatively easy to spot. They pass through a life cycle that has four stages. They are egg, larva, pupa and adult. The length of the life cycle depends on the conditions it encounters as a guest on your pet, for example, hotter outdoor weather or central heating indoor during the colder months can lengthen the typical flea cycle. Temperature, food source and intervention are all factors in determining whether your dog will have a couple of days worth of scratching or months worth of intense, localised pain, infections and the risk of further infestations. The female flea will feed on your dog’s blood. Once she has done this, her next priority is to lay her eggs, about fifteen or twenty at a time and usually up to six hundred in total. She will lay them loosely on your dog, and they tend to drop out anywhere. So you may see fleas emerging from your carpet, upholstery, clothes and even on your person. Then the life cycle continues, so if you think your dog may have fleas you are best to not only treat them, but also the home itself using a treatment or fogger spray. The larvae are blind. They feed on bits of skin that fall from our bodies on to the ground, as well as waste matter from adult fleas, hair and other organic matter. They mature when it is safe for them to do so. In the meantime, they will remain inside their cocoon until they can detect either heat, which indicates the presence of blood, or vibrations which indicate that they have found a living host from which they can feed. Unfortunately for us dog owners, fleas have the capability to make our lives unpleasant too. They can and will switch host many times during their life cycle, and that itching you feel when you have a flea, is the parasite taking a meal. Although flea infestations are not considered life threatening, they can cause dogs and their owners distinct distress if left untreated so it's best to use a good flea treatment for dogs for preventative measures all year round. I am dog owner (GSD) from Karachi Pakistan. Unfortunately, currently going through agony of terrible tick attack. I have used medium to strong pesticide including the famous and very expensive tick powder/s but none is working the tick just keep coming.